If you want friendly bud tenders who know what they are talking about who can help you get the best quality of bud check these people out!! They have something for everybody and they can get you out the door with something to smoke even if you only have ten dollars. But if you want a good strain from them their frosted fruit taste just like it sounds crisp and sweet, this bud has a superb aromatic smell and is one of the top shelf strains. @Bobway Thank you for your review!! Hope to see you again soon!! NO, I do NOT recommend this dispensary! It is however, ideally located in a newly remodeled store that was once a gas station is now Wagoner, Oklahoma’s only ethically questionable MM Dispensary. 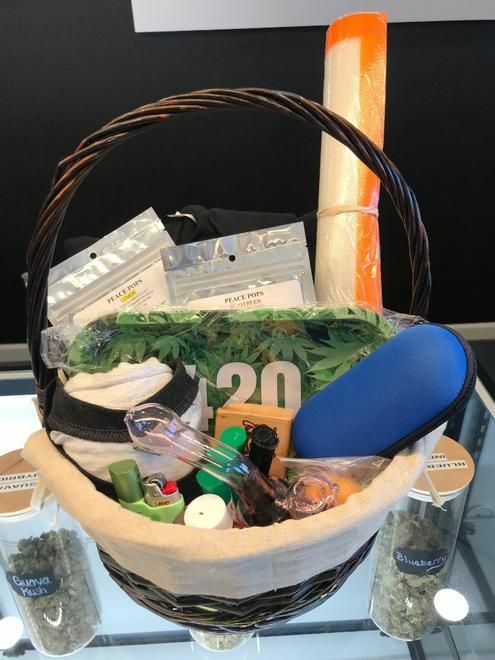 I assume its prime location location and shinny new decor are solely responsible for bringing in new customers and being the only dispensary in town (for now) draws repeat business. As for myself it’s 3-strikes and You are out!!!... since obtaining my MML I have spent hundreds of dollars at Green Life, which as I already mentioned is (at the moment) Wagoner, Oklahoma’s first and only MM dispensary. Also, to my knowledge Oklahoma currently has no oversight or compliance agency to insure that ethically challenged dispensaries such as Green Life Dispensary are actually selling advertised Cannabis Flower, Cannabis products or associated products ethically. Furthermore, I have discovered that as an Oklahoma MMP I am at the mercy of individual dispensaries to operate “honestly and ethically”. However, I do have social media, word of mouth and even potential legal options at my disposal as an American consumer... So, I am taking my business to one of the dozens of ethical dispensaries that operate to provide quality medication for its MMP’s. Yes, businesses have to profit to succeed but not price gouge or sell poor quality cannabis at top shelf or even middle shelf prices. One would also hope that any business that sells a product, service or good for profit should be proud to stand behind that product not forced to do so by a governing agency by operating ethically and with honor. NOTE: this is my first negative review for any establishment of any kind ever! I also need make clear that I spoke to employees and or the owners regarding each complaint. I have given this business ample opportunities to make things right or even offer a insincere “sorry” but no apology had been offered. Strike 1 Purchase of two (2) Anarchy Purple / Purple Anarchy HOUSE SPECIAL HOUSE ROLLED pre-rolled cones. Upon opening each individual pre-rolled cone I discovered each PR cone was loosely filled with what appeared to be dust... Each cone was less than 1/3 filled with this dust that I Hope was obliterated flower. The dust would not ignite and I could I pull a drag through the dust inside the cone. I eventually opened the cones and the contents tasted of dirt “not Cannabis” and was ground into a fine dust almost powder... in the end I was forced to simply throw the dust away. As, an Oklahoma MMP I am realistic when doing business regarding availability of product BUT as an American consumer I expect product to be as advertised and that the advertised product meet quality standard that are backed by the business... alien concept to unethical business owners trying to get rich on the backs of medical patients pain. My financial loss: $15.00+tax Strike 2 Upon my next visit to Green Life that I once again spent in excess of $250. Mentioned twice about my displeasure regarding the HOUSE SPECIAL Anarchy Purple/ Purple Anarchy PR Cones that I purchased on my previous visit. The bud-tender helping me pulled up my purchase of the two PR cones in the system. After confirming the purchase my bud-tender looked over her shoulder towards the back and softly said “we have had a complaint or two regarding those”... that’s it. No apology, no were learning as we go, nothing. It’s funny but I was also not allowed to use my accumulated in store points for that sale because (in her words) the sale had gone to far to be applied. I bought a variety of medication from flower, vape concentrate cartridge and a new vape key-fob style vape battery with refillable cartridge or disposable vape cartridge capabilities. This vape products was a hard sell because of my growing apprehension regarding the quality of their goods and their ethics in standing behind their products. I was finally lured into purchasing the vape by a guarantee for a store refund in addition to the manufacturers 1-year full replacement guaranty for defective part. This item fell apart after a few days. I also purchased various quantities of several different strains of flower. One in particular was advertised and priced as Northern Lights, NL. I pressed the bud tender and was told that this batch was actually NL Auto-flower. Auto flower may be ideal for home growing that retains much of the qualities of its namesake auto-flower is lower quality, lower THC and is a hybrid! I ended up with 3.5 grams of moist stems and moss looking Auto-flower ditch weed that would not stay lit. So, set it aside to dry two days before trying to smoke again. I smoked two cones back to back and other than almost coughing myself to death I got no benefits from this auto-flower bait and switch. 3.5g NL-Autoflower $35.00 + tax for moist stem ditch weed that did not medicate but did make me throw up from coughing. Strike 2 Yesterday 03/05/2019 I entered Green Life with my defective key-fob dual function vape battery. I was greeted immediately by their security guy who took my MM card and informed me I would need to speak with one of the owners. A few moments later a gruff women appears and barks my name. I no more than walk up to the counter to show her the defective item before she informs me of the items warranty. This “lady” went from gruff to berating in a breath when I mentioned her bud-tenders shop guarantee, which was the only reason I made the decision to purchase this item. The OWNER (Co-owner), belligerently berated me in her store in front of her employees and customers over an inexpensive defective product. I attempted to share my previous issues with her (in case she wants improve her business or be an ethical business owner)... but she as soon as she knew I wanted a refund for the defective item she turned her back and started walking away from me. She continued to berate me in front of her employees and other customers by saying AND I QUOTE: “I can tell... you need to be medicated now”! Money before patients... profit over ethics. If you want to pay premium prices, to be berated and belligerently spoken to in front of all to hear, to be treated like dirt and possibly be sold dirt in a PR cone then Green Life is your dispensary. I was willing to let one incident of poor quality slide. After all the questionable PR cones cost were less than $20 with taxes. If I had gotten even a generic “sorry”... I was even willing to write off the misrepresentation of AUTOFLOWERING Northern Lights NL regular NL... I will not be berated or humiliated by an unethical business. @Amannda I am so sorry for your experience. If you would like to bring your receipt for this purchase, I would be happy to discount your next purchase. Excellent location for wagoner! Good medicine! Store is very nice. @rudeboy82 Thank you so much! Always a pleasure to do business here,great staff and a relaxed environment make for a perfect experience, round it all out with a generous rewards program and its well worth my 30 min drive. Awesome place all around!! @Nick_Knows Thank you for the review. We are very happy to hear your feed back. We hope to keep you making that 30 min drive. Hope to see you again soon!!! Very clean, helpful, and good prices. The customer reward program is top notch. I'll be back! @rdbrackett185 Thank you for the awesome review! We appreciate it very much. @Jmtrippany Thank you for your review. We appreciate the AWESOME feedback!! Felt good. By saying good I mean the open space and lighting, I could see around me. That was important to me and my husband. Thanks Security and staff professional and friendly. Good experience. @Valcare Thank you for review, it really means so much to us!! Hope you stop in again real soon! !